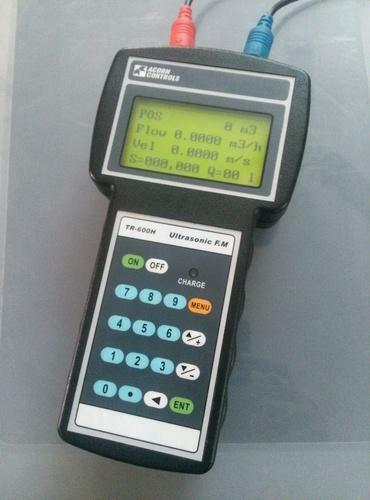 We are offering Ultrasonic Handheld Flow Meter. Acorn Controls started its operations in the year 2000, with an aim to provide design services to Instrumentation Manufacturers and Exporter to industries requiring the support of electronic product designs. We manufacture and supply all types of Instrumentation & Electronic Measurement. Our offered assortment consist of products like CO2 Monitor, Hydrogen Monitor, Ultrasonic Flow meter, Electromagnetic Flow Meter and more. These products have been acknowledged for its long service life, high efficiency and durable finish standard. There are mainly OEMs (Original Equipment Manufacturer) and customers, who are buying products and taking services, from us for a number of years, putting their full faith in our capabilities, reliability, excellent technical support and attention to their needs. We are also a registered supplier to Defence organizations like VRDE, BEL, R&D Engineers, and to Defence equipment Suppliers for their Defence grade product requirements.